Herke van Hoof is currently assistant professor at the University of Amsterdam in the Netherlands. He is part of the Amlab headed by Professor Max Welling as well as the UvA-Bosch Delta lab. Herke works on machine learning for autonomous robots in perceptually challenging environments. For robots to master a wide array of tasks, machine learning is indispensable, but it is equally important that such tasks can be learned in non-standardized and unstructured environments such as homes or hospitals. Learning tasks in such complicated environment puts additional demands on algorithms for machine learning, perception, and control. One example of such a task is exploring the objects present in a novel environment. Segmenting objects using passive sensing is inherently limited. By interacting with the environment, the robot can improve its understanding of the different objects that are present. However, interaction is costly. By expressing the uncertainty in the robot’s understanding of the world, it becomes possible to select actions based on the information they are expected to yield about the environment, and thus speed up the learning progress. Currently, I’m working on new ways to exploit known robot models and/or simulators to make reinforcement learning more efficient. I am looking to use a generative model of the robot to characterise its belief over unknown parameters, and pre-training a policy that learns to trade-off exploration and exploitation based on this characterisation. Before joining the University of Amsterdam, Herke van Hoof was a postdoc at McGill University in Montreal, Canada, where he worked with Professors Joelle Pineau, Dave Meger, and Gregory Dudek. He obtained his PhD at TU Darmstadt, Germany, under the supervision of Professor Jan Peters, where he graduated in November 2016. 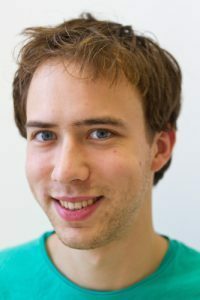 Herke got his bachelor and master degrees in Artificial Intelligence at the University of Groningen in the Netherlands. Two ICML papers were accepted: An Inference-Based Policy Gradient Method for Learning Options (Smith, Van Hoof & Pineau; pdf) and Addressing function approximation error in actor-critic methods (Fujimoto, Van Hoof & Meger; pdf). Congrats Matt & Scott! I started a new job at the university of Amsterdam (UVA) as Universitair Docent (Assistant professor). I am in the process of relocating and updating my website, so for the time being not all information on the website is accurate. New paper accepted at ICRA: V. Barbaros, H. van Hoof, A. Abdolmaleki & D. Meger: A Comparison of Eager and Memory-Based Non-Parametric Stochastic Search Methods for Learning Control. Draft coming soon. Congrats, Victor! An archive of news items can be found on the News page. International Conference on Learning Representations, Forthcoming. International Conference on Machine Learning, pp. 4703-4712, 2018. Journal of Machine Learning Research, 18 (73), pp. 1-46, 2017.
International Conference on Intelligent Robots and Systems, pp. 3928–3934, 2016. IEEE Transactions on Robotics (TRo), 5 , pp. 1198-1209, 2014. A full list of publications can be found at the Publications page.